International Journal of Mechanical Engineering and Futuristic Technology (IJMEFT ) is peer- reviewed (refereed) international journal published by A D Publication. 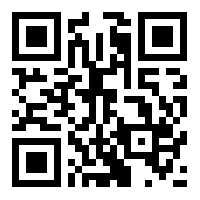 Its aim to provide the most complete and reliable source of information on current and Futuristic research. It is a leading e-journal, under which we are encouraging and exploring newer ideas of current trends in research by publishing papers containing pure knowledge. The Journal is started with noble effort to help the researchers in their work and also to share knowledge and research ideas. The journal reviews papers within short time of submission and publishes accepted articles on the internet immediately upon receiving the final versions. 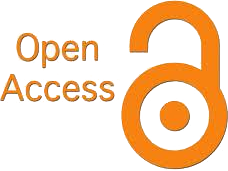 Open access Journal : Journal is an open access journal and the paper published in the serial publication can be downloaded from the archive section free of cost in pdf format. Reputed Editorial Board : Journal has a panel of distinguished Editorial Board members from multiple countries along with finest reviewers to strengthen the quality of publication. 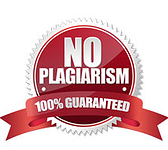 Strict Plagiarism Policy : Each manuscript passes through our Plagiarism testing tool before issuance of Acceptance for publication in Journal. Rapid Publication Process : The paper submitted to Journal is evaluated within a period of 2-3 weeks for acceptance/ rejection after plagiarism testing and peer review followed by a simple and fast publication process. Certification of Publication : A Softcopy of Certificate of Publication is issued to the corresponding author free of cost. Authors can also order for Hard copy certificates if required for academic purposes. Highly Indexed & Impact Factor Journal : Journal is indexed with google scholar, Issuu, dox top, academia.edu, docstoc , Scribd, Slide share, etc. Online paper Submission : Authors can submit manuscript online. Nominal Processing and Publication Charges : Nominal Processing & Publishing Charges (Includes online publication, Indexing & Abstracting in various online repositories, Soft copy of certificate to each author, Soft copy of letter of acceptance, Soft copy of reviewer evaluation card). There is no hidden cost. The hardcopy certificates can be ordered @ Rs 200 (INR) / $20 per author per certificate for academic purpose (optional). Environment Friendly Policy : We insist for ONLINE publication only, as the journal is open access, so one can download the published papers for unrestricted reprints as and when required. We believe that we have a responsibility towards the environment and every paper saved is worth saving the Mother Nature. Faculty of Manufacturing Engineering, Universiti Malaysia Pahang, Malaysia. Head of Department, Mechanical Engineering Department, Government Engineering College, Dahod-389151.